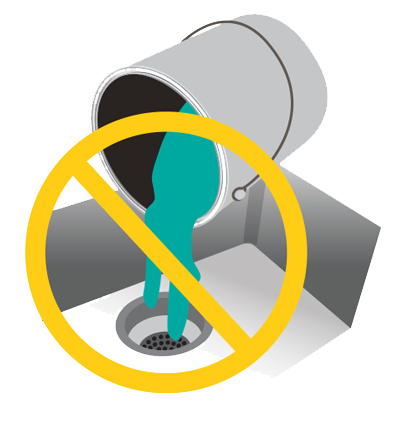 Do NOT pour paint down a household drain or storm drain. Oil and lead-based paints and stains are considered a problem and Household Hazardous Waste and must be taken to a special facility. Click here for more information about problem wastes and to link to the Household Hazardous Waste HHW Facility web page. Paints labeled as “latex paint” are not hazardous and can be thrown away with your regular household garbage IF it is completely dry – to the bottom of the can. If not completely dry, it can leak from a garbage truck and ruin vehicles and/or private property. Be sure your paint is COMPLETELY dry before including in your regular garbage. Removing the lid from the can and placing in a dry place will allow the paint to eventually dry out. After a few days, only the surface of the paint will be firm and dry to the touch - if you press harder you will notice the bottom is still liquid or gloppy paint. If you feel comfortable holding the can of paint upside down, then it is dry enough to throw away in your garbage. A thin layer of paint will dry much faster. Pour paint into a secure container with a larger surface area than the paint can. Place container of paint outside on a sunny day to help speed up the drying process. 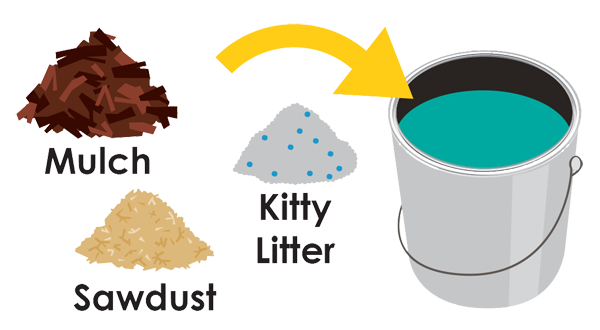 Adding on absorbent such as kitty litter, wood chips, saw dust, mulch, etc. is another way to quickly dry the paint. When the paint is dry, double bag the container and any absorbing material and throw it out with the regular garbage. Only latex paint will dry. Oil and lead-based paint and stain have to be taken to the Household Hazardous Waste Management Facility located at 1033 Elm Street. If you take dried paint cans to a Knox County Convenience Center make sure you bring the paint cans without the lids and allow the operator to inspect them. Then you can place them in the bulky brown compactor. Partially full aerosol spray paint cans are usually oil based and are considered problem and Household Hazardous Waste and must be taken to a special facility. Click here for more information about problem wastes and to link to the Household Hazardous Waste HHW Facility web page. Empty aerosol paint cans may be thrown away along with regular household trash.